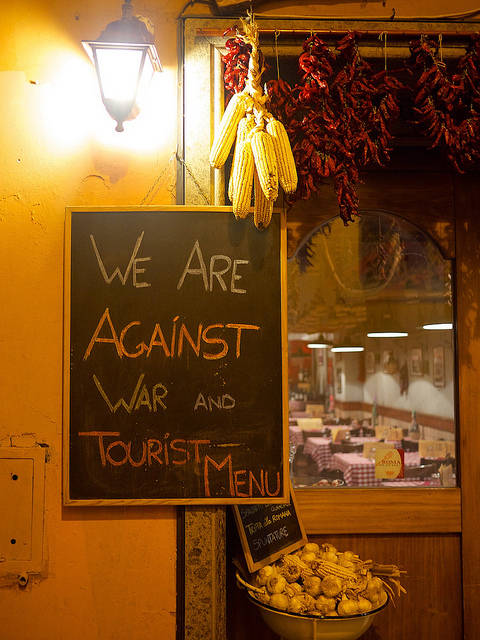 Tourist traps are all over Italy and we have all been a victim of it at some point while dining in Italy. 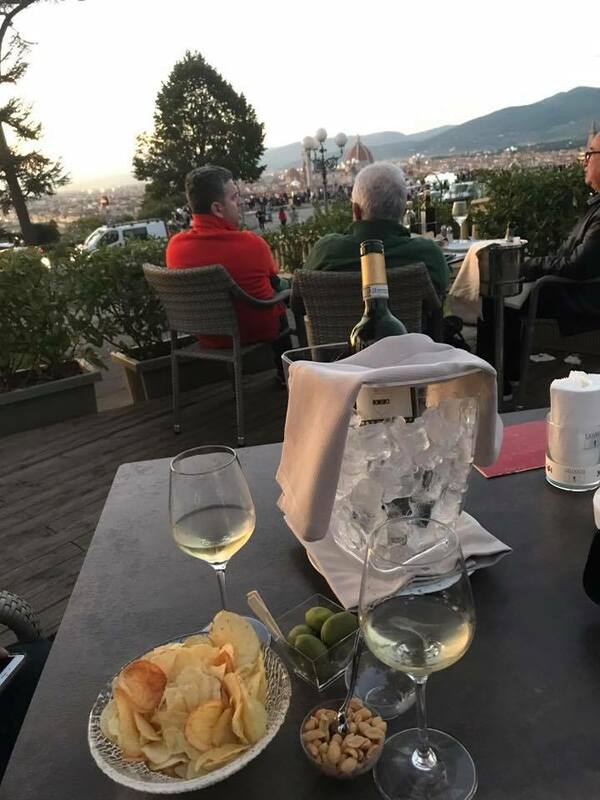 Price deals, panoramic views and charming waiters looking to lure tourists into a restaurant all play into the mistake that can be easily avoided so you don’t have a mediocre meal in Italy. Fresh ingredients and flavor combinations, which explode in your mouth, are what you “can” experience, if you follow the rules of eating in Italy. Don’t settle for less! You may think I’ll just have a pizza and enjoy this breathtaking view in a piazza, how bad could it be? Well, it could be a frozen pizza not made on the premises. My first tip is to plan your meals around what is common in Italy. Most restaurants are open from 12:00 pm-3:00 pm and 7:30 pm-11:00 pm. This is not to say you won’t find some restaurants open during the off times, but it will surely be a tourist trap. Yes, I know you may be hungry after a long day of sightseeing, but there are no early bird authentic dinners before 7:30 pm to be found in Italy. Second, stay away from restaurants located in major piazzas at which to dine. Yes, the surroundings are amazing to view, but the food won’t be an experience to tell others about. In fact, it will be a disappointment and hurt your pocket because it will be more expensive. 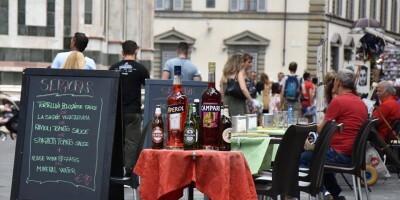 Instead, have an aperitivo at these locations to enjoy the view. Third, ask a local for a suggestion. Stop someone on the street or ask your taxi driver where they would dine nearby. Don’t ask your hotel because most times, but not all, they refer to establishments they have a connection to which may not the best meal. Be wary of any coupons your hotel may offer you at restaurants. Next, wander around the back streets of a piazza. 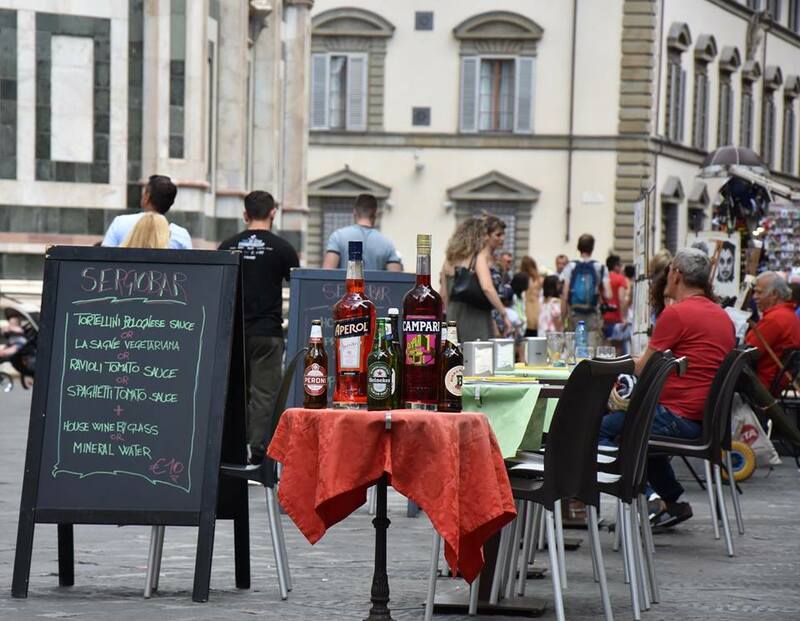 Enjoy the winding streets to find a trattoria or osteria where traditional meals will be offered at more reasonable prices. Furthermore, don’t rely solely on Trip Advisor or Yelp for recommendations. While some reviews can be helpful, I personally pay more attention to the negative reviews from tourists when I travel opposed to the positive ones. Instead, follow a local blogger who knows the area for suggestions for a good meal. Finally, listen to the language of customers inside and outside of the restaurant. 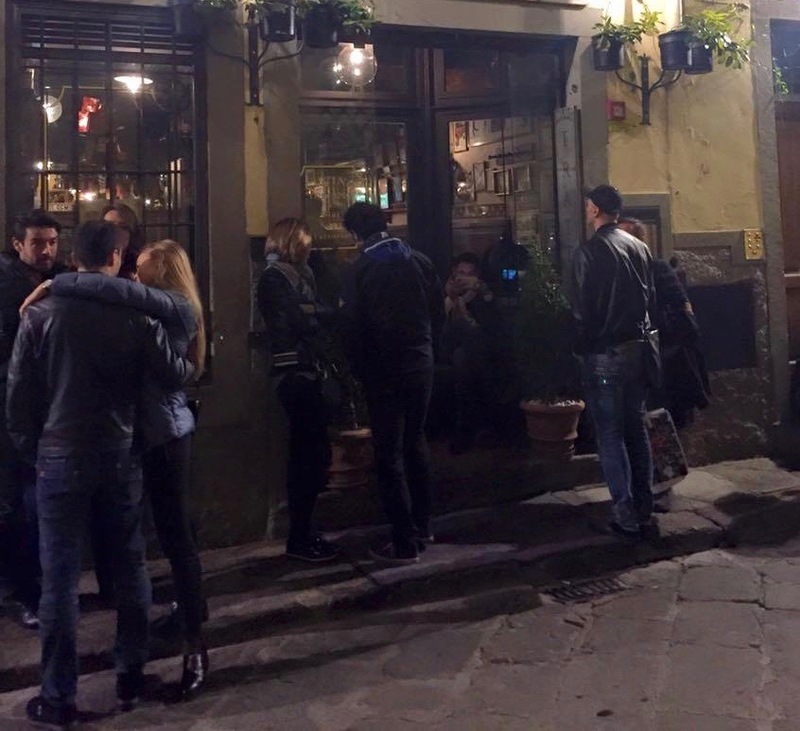 If they are mainly speaking Italian, it is a place where locals frequent, which is always good sign. Here are some tell tale signs to avoid……. – A chalkboard menu in English offering multiple courses for a value. – A restaurant in a major city piazza or a location with panoramic views. – A large platter of beef or food on display. – A waiter standing outside handing out flyers or making conversation with tourists.